Despite being launched amid a blaze of hype, Apple's latest touch-screen gadget has yet to resonate with consumers on the same scale as the iPhone. Despite media hype around the launch of the iPad earlier this month, consumers are not convinced it will have the same impact as Apple's other products, new figures show. More than 56 per cent of the 3,000 members of the public who participated in PRWeek/OnePoll's survey said they did not believe the iPad would make as big an impact as the iPhone. A further 20 per cent remained unconvinced over its relative impact, while only 23 per cent believed it would eclipse the iPhone's significance. 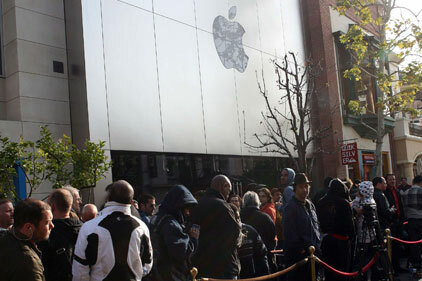 Thirty-two per cent of respondents thought the carefully choreographed iPad launch in the US had improved Apple's reputation. However, 42 per cent believed it made no difference and 11 per cent thought it had a negative effect. But, despite this lukewarm response to the iPad, Apple is still winning in the style stakes, with 65 per cent believing that Apple products were 'cooler' than its competitors'. Indeed, Apple was named by 54 per cent of respondents as the technology brand with the best reputation. Its closest competitor was Microsoft, with slightly more than 20 per cent of the vote, while Google came third with ten per cent. Surprisingly, Apple's fierce mobile phone competitor, BlackBerry, only scored six per cent of the vote. More than 40 per cent of respondents said Apple's competitors were not doing enough to keep up with Apple, while 60 per cent believed Apple was the 'most innovative' tech brand. Apple founder Steve Jobs is vital to the company's reputation, with 68 per cent agreeing that he was either 'important' or 'very important' to the brand's reputation. Only 32 per cent disagreed. This survey really highlights the 'cult of Apple' and the degree to which its unprecedented success owes much to perception and image. At the present time, Apple could launch an Etch-a-Sketch wrapped in tin foil and people would queue around the block to be seen buying it. And while fewer than a third of respondents said the iPad had actually added to Apple's aura, that may be down to many believing Apple simply cannot get any cooler right now. There is obviously some cynicism about the iPad and, of course, there was about the iPhone too, but the case for the mobile phone had already been made long before that device came along. Most interesting, though, were those who thought the extensive iPad coverage was not over the top. That speaks volumes of the crossover between Apple's target audience and the people producing, consuming and informing the media. HAS THE IPAD LAUNCH IMPROVED OR DETRACTED FROM APPLE'S REPUTATION? DO YOU BELIEVE THERE WAS TOO MUCH COVERAGE OF THE IPAD LAUNCH IN THE MEDIA? - Survey of 3,000 members of the public conducted by global research agency OnePoll.